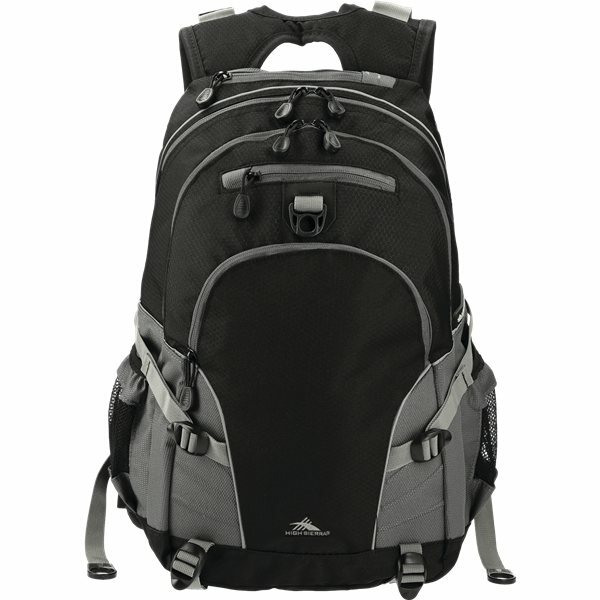 The High Sierra® Loop Backpack is multi-compartment design that features a zippered media pocket with headphone port, two side mesh water bottle pockets, a hanging accessory pocket and an organizer with a zippered mesh pocket, pen pockets and removable key fob. Yolk-style, S-shaped Vapel™ mesh shoulder straps come with a comfortable suspension system, cell phone pocket and integrated grab handle. Very pleased with them. Great! Precisely what I had been expecting! Great color and nice and strong Love them! We will indeed be doing more specialty business with you in the near future. Very pleased with the purchase. Thank you. I received my order ahead of schedule! I definitely recommend this product as well as AnyPromo! A great affordable option. Holds a lot of gear!